If you’re trying to save some money or have a dog that just doesn’t like going to the groomers, cutting their fur at home is an easy solution. One of the first things you need is a good pair of grooming clippers. There are a lot of options available so we researched the top-rated products and put together to this buying guide to help you find the right product for you. First, let’s look at some key features to consider. Power: Most of these products are powered by an internal, rechargeable lithium-ion battery. Some of them can also be used with the charging cable attached so you get the best of both worlds. We found 2 really good corded options, too. 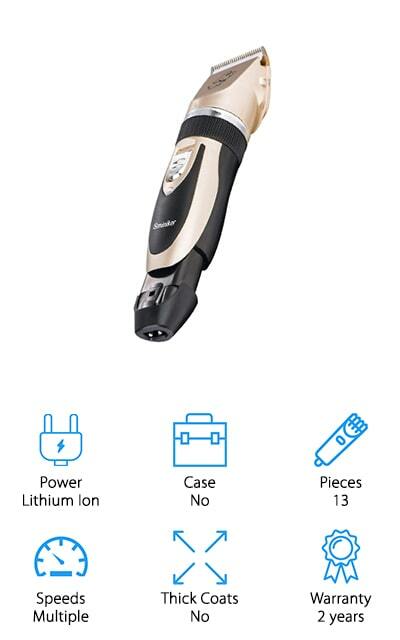 Case: A few of these clippers come with a case. While you don’t necessarily need a case, it certainly comes in really handy for keeping everything together so you don’t have to hunt any pieces down when it’s grooming time. 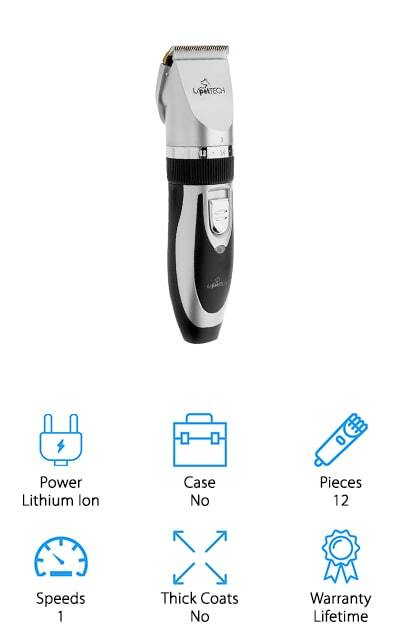 Pieces: This figure includes the clippers themselves plus anything else that’s included: comb attachments, scissors, combs, nail clippers and files, oil, brushes, and charging cords. Some of these products include everything you need for a professional grooming experience. Speeds: The more speeds available, the more versatile the clippers are. If you have a pet with really thick hair, higher speeds are typically better for whole body cuts but slower speeds are better for detailed cuts. Thick Coats: To get the best results grooming dogs with thick coats, like Akitas, German Shepherds, Chow Chows, or Great Pyrenees, you need powerful clippers with multiple speeds and different length adjustments. Corded clippers are usually a better option. Warranty: All of these products are covered with a warranty, though they vary a lot in length of coverage. Most last between 1 and 5 years but, believe it or not, we did find a few that have lifetime warranties. Now that you know what to look for, let’s take a look at our top picks. Here’s how it works. Our top and budget picks are right at the top of the list. Make sure you check them out first if you’re in a hurry because they’ll give you a good idea of the range that’s out there. All of these products are great so stick around as long as you can. So, what are the best dog grooming clippers? Let’s find out. Our top pick for best professional dog grooming clippers are the Professional Heavy Duty clippers from Cyrico. They feature 2 speeds and adjust to 4 different positions, making them a good choice if you want something you can use with a variety of breeds. The blade is stainless steel and ceramic so it’s really strong and stays cool. This kit comes with a lot of really great accessories, including a stainless steel comb, 2 types of scissors, and a 2 attachment combs. The powerful lithium-ion battery runs for up to 5 hours on a full charge so you can work without interruption, even if you’re grooming multiple dogs. Plus, you’ll always know how much power is left thanks to the easy to read LED screen and have the option to use it corded if needed. Our budget pick is the Wahl Pet-Pro Grooming Clipper Kit. This kit has everything you need for full body clipping and detailed trimming. The high-carbon steel blades are self-sharpening and snag free. They also feed fur easily to avoid any cuts or pulls and keep your pet as comfortable as possible. There are 4 different guide combs included that range from ⅛ to ½-inch. That’s not all, they’re also color-coded for quick and easy identification. 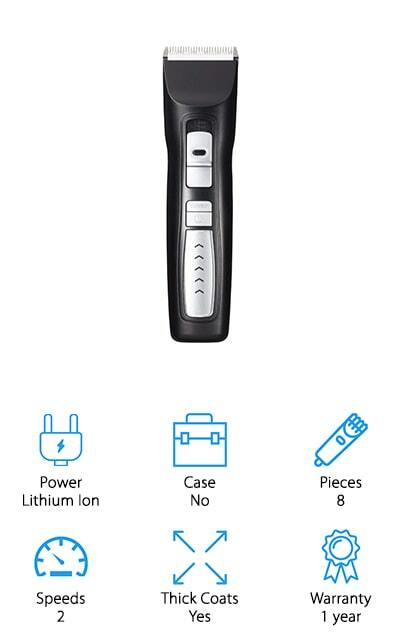 Because these clippers have a power drive cutting system, they’re powerful enough to cut through even the thickest pet hair. They come with a lot of nice extras, too. In addition to the clippers and guide combs, you also get scissors, a styling comb, mirror, oil, a cleaning brush, and a hard plastic storage case. 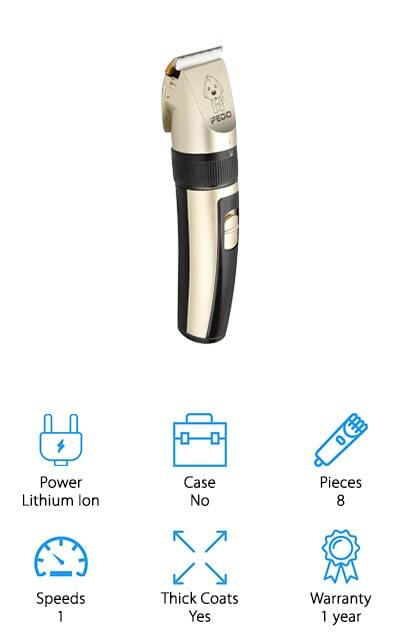 The Sminiker Grooming Clippers are a great choice for best cordless dog grooming clippers. One of the best things about them is the blades. They use an acute angle titanium blade and a movable ceramic blade that glide smoothly through the fur for precise, efficient results. The blade is adjustable and there are 4 different length combs included so you can do whole body clipping as well as trim sensitive areas. Your pet will also love the low vibration and ultra quiet design. The battery takes about 5 hours to fully charge and then delivers 70 minutes of cutting time. This kit comes with a lot of useful accessories, including a cleaning brush, cutting and thinning shears, a nail clipper, and a nail file. You have everything you need to give your pet a doggy spa treatment at home. Our next pick for the best dog grooming clippers is this PetTech Dog Grooming Kit. It’s made for thin to medium coats and has everything you need to groom your pet at home just like the pros do. If you have a nervous dog, you probably already know how difficult it is to cut their hair. These clippers have a whisper-quiet operation and low-vibration that can help take some of the edge off. The titanium blades are adjustable plus there are 4 different combs attachments included which makes these clippers really versatile. Something cool about PetTech’s combs is that they’re contoured in order to help prevent any pulling or snagging. One more thing: these clippers come with a lifetime replacement guarantee. If you ever have any problems, return it for a new kit or your money back. 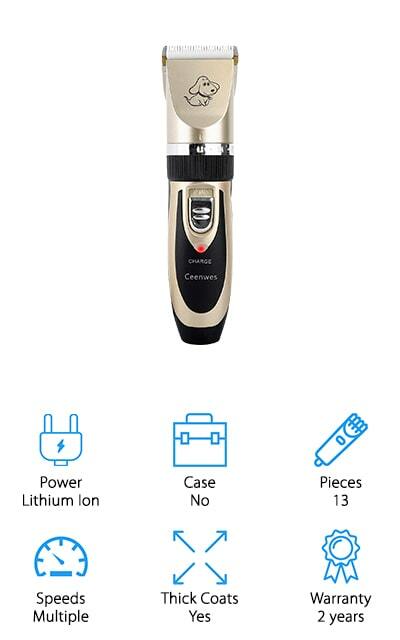 A great choice for best dog grooming clippers for poodles are Ceenwes Pet Clippers. The titanium and ceramic blades provide smooth and efficient cutting and leave a lot of room for adjustments. What exactly do we mean? The blades adjust to 5 different lengths using the easy adjusting knob and there are 4 different guide combs included so you really get a lot of versatility with this one. The battery is pretty awesome, too. 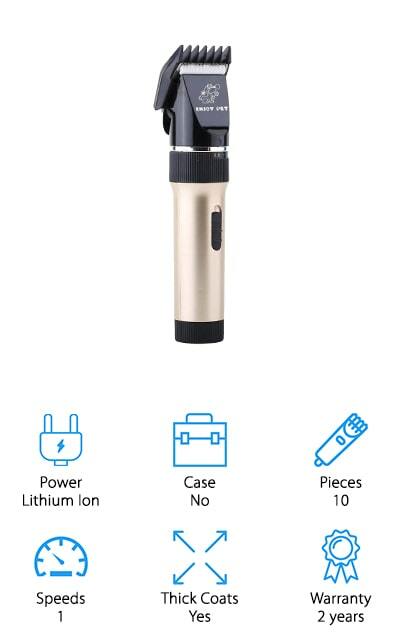 It fully charges in as little as 3 hours and has a 3 to 4 hour run time. If the battery is running low and you’re not quite done yet, don’t worry, you always have the cordless option, too. You can give your pup the full salon experience with this set. It also includes nail clippers and a nail file. Up next are the Casfuy Dog Clippers, the best dog grooming clippers professional groomers love. Why? Because they’re really comfortable to work with. The lightweight, slip-resistant design features an ergonomic grip that avoids any pain or discomfort while you work. The blades are made of stainless steel and ceramic and glide gently through your pet’s fur without snagging or pulling. They adjust to 4 different lengths and 2 different comb attachments are also included for even more options. The battery is pretty impressive, too. It takes about 3 hours to get a full charge and then it lasts for up to 5 hours. 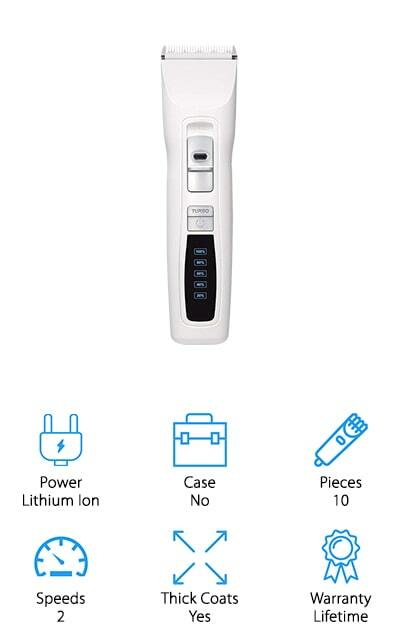 That’s not all, these clippers also have 2 speeds and operate quietly so your pet won’t get anxious. This set also comes with a stainless steel comb, bottle of oil, and a cleaning brush for maintenance. 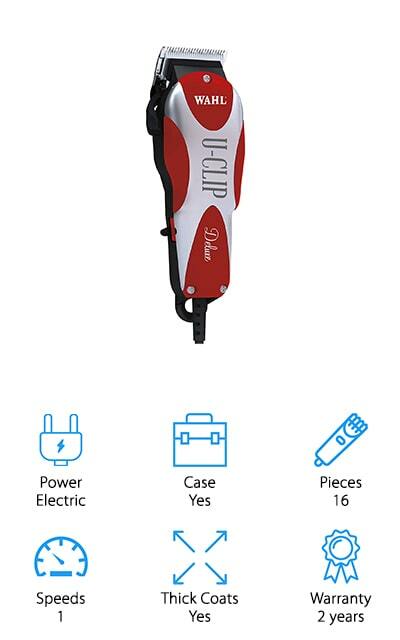 One of the things that makes the Enjoy Pet Dog Clippers stand out is the phenomenal battery life. It only takes 3 hours to charge completely for a 7-hour run time. 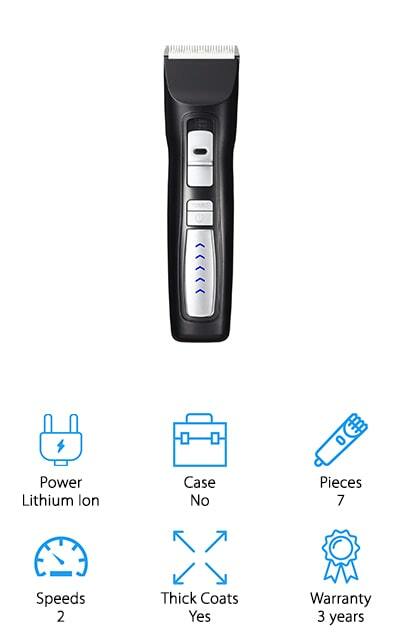 Although these clippers have a super powerful engine, they operate quietly which means there’s a better chance your pet will stay calm during their haircut. That’s not all, where most other blades have 24 teeth, the blades on the Enjoy Pet Dog Clippers have 33 so they’re really great for thick fur. The R-shaped edge helps them slide smoothly over your pet’s skin without any cuts or irritation. They have an adjustable taper and come with 4 different length comb attachments so you can do full body cuts as well as detailed styling. One more thing, you also get a stainless steel comb and shears. Some of the best dog grooming clippers for Shih Tzu are from TXPY. They feature precision-cut titanium, stainless steel, and ceramic blades that won’t pull and tug at your pet’s fur. That’s not all, they also maintain their edge and won’t rust so you can keep using them for a long time. The blade length is adjustable and there are 4 guide combs included which provide a lot of variety. If your pet gets a little anxious and jumpy during grooming, these are a good pair to try because they have low vibration and run quietly which makes the experience a little more relaxing for your pooch. The battery charges in about 3.5 hours and has a run time of 4 hours. Plus, there’s a charge indicator to let you know how much power is left. 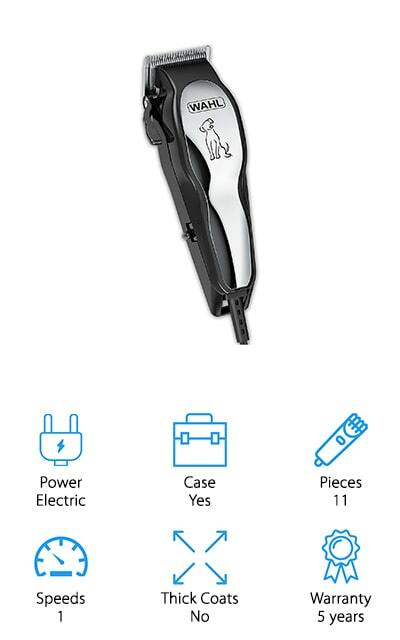 Next up are an awesome set of professional dog grooming clippers from Cyrico. They’re made for groomers who work with different breeds because they have 2 different speed settings as well as an adjustable ceramic and stainless steel blade that easily cut through even the thickest fur. You can quickly adjust from 1.3mm to 1.9mm using the adjustable taper and add one of the 2 double-sided combs for 3, 6, 9, and 12mm lengths, too. A fully charged battery runs continuously for up to 5 hours at a time. You also have the option to use them with the cord attached if you need to. The motor runs quietly, too, which makes this a great choice if you have a dog that isn’t fond of grooming. One more thing, Cyrico also offers a 100% satisfaction guarantee. Last but not least is this great kit from Wahl which has just about everything you need to give your pet a professional grooming at home. It’s perfect for medium-density fur and a great choice for Labradors, Maltese, Shih Tzus, and Cavaliers. This kit can do everything from full body clipping to delicate touch-ups. The adjustable taper has 3 different settings and changing between them is as easy as switching a lever. This kit includes 16 different pieces in all, including 7 different color-coded combs, a comb, and a pair of sheers. You also get a cleaning brush and blade oil for routine maintenance as well as an apron to wear while grooming your pet. If you’re new to home grooming, you’ll appreciate the included Grooming and Styling instructional DVD and booklet.